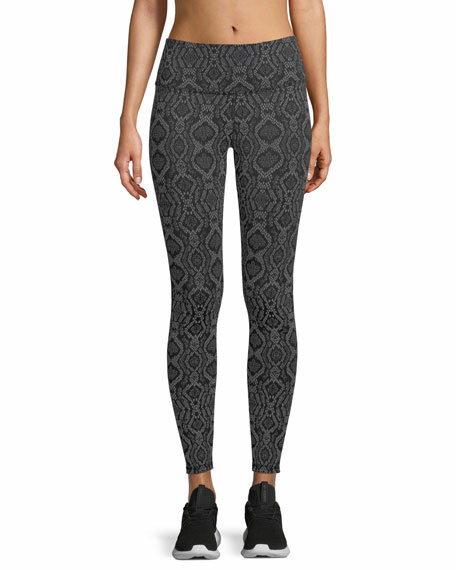 Varley "Bronson" leggings in snake-printed performance fabric. High waistband for coverage & support. 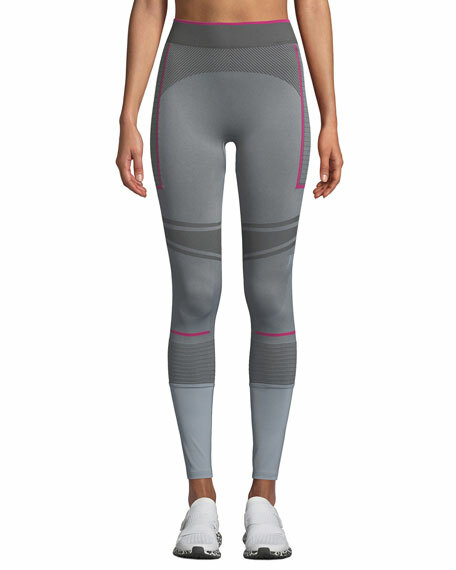 For in-store inquiries, use sku #2410680.
adidas by Stella McCartney tights in paneled performance fabric. Breathable tonal mesh panels at thighs. Bonded logo detailing down sides. Mid-rise. Back zip pocket. Second-skin fit. Full-length. Pull-on style. Recycled polyester/spandex. Imported. 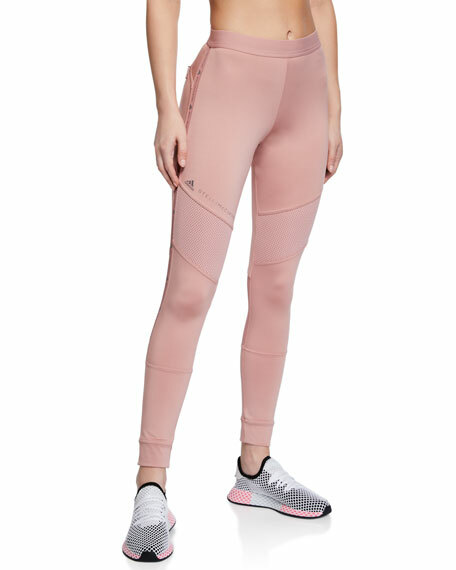 adidas by Stella McCartney training tights in high-stretch performance fabric. 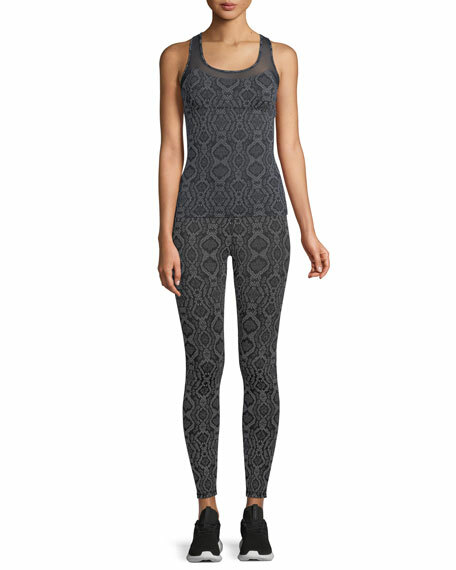 Seamless construction for second-skin fit. Moisture-wicking Climalite technology. Allover colorblock ribbed structure. High waist. Ankle length. Pull-on style. Nylon/polyester/spandex. Machine wash. Imported. 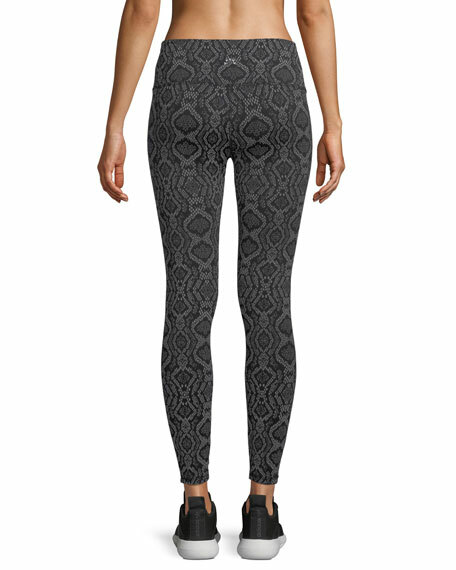 Donna Karan "The Luxe" bodystocking tights. Skin Sense technology finish smartly adapts for comfort all day long. Velvety opaque jersey fabrication conforms to your body, perfect for body-conscious clothing. Split gusset for convenience. Nylon/spandex. Imported.